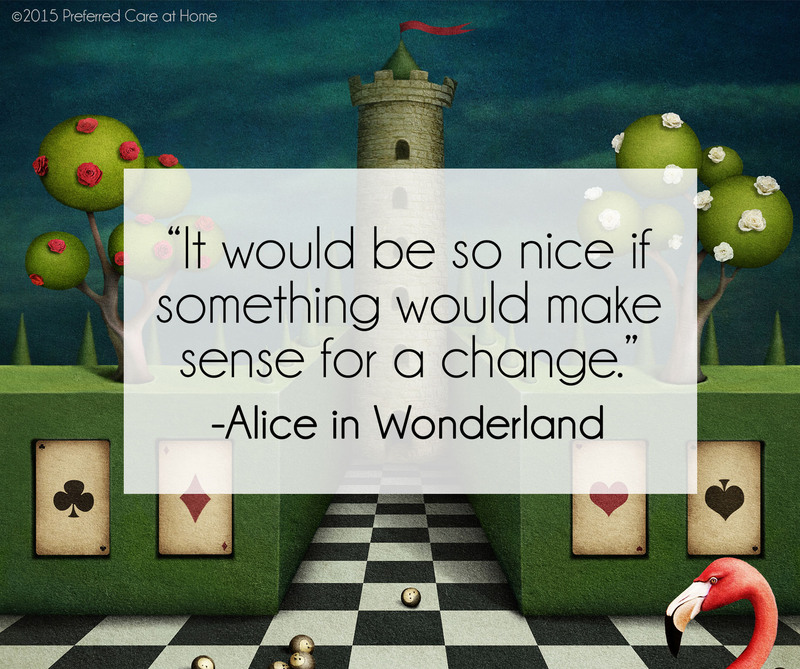 Her quote may be 64 years old (to the day), and our normal land may have less madness and magic than her Wonderland, but young Alice had a good point that’s just as relevant to us today. Frankly, it’s not difficult to imagine how odd and at times backwards the present must feel to those born in a much earlier era. These days clouds have very little to do with rain and much to do with cute cat videos, iphones, and selfies. Our books have to be charged, just like our robot vacuums, and we’ve almost mastered the art of avoiding face-to-face conversations, resorting instead to tweets, pins, and likes for our socialization needs (please like this on Facebook!). The way it is, we live in a world where the technologically impaired are locked out of even the most basic choices and undertakings — because to have any sort of independence or freedom, one needs to understand how to use modern technology and computers. Increasingly so, seniors who want to maintain their independence will need to be computer literate. For those who are not but would like to be, there is good news. One of the benefits of living in our current era is the ease in which education and information is available and accessible. GCFLearnFree promises to help you become Internet savvy with tutorials on how to browse smartly, maintain your safety, and network socially while online. There are tons of videos and topics, all the way from “what is a computer” to working with complex functions in Microsoft Excel. This is a great source for on-going computer literacy training. Webwise is an offering from the BBC and it works as a starter’s guide to the internet. There are basic tutorials going over many basic but important staples in our digital society such as search engines and web browsers. Another great source is Microsoft Accessibility, which offers great tips for those looking for tips on becoming more computer literate. It is tailored to seniors as well.